The sole fact that today the entire globe has become a single marketing battlefield is both frightening and amazing at the same time. Since prediction has it that the Internet will have gone truly global by 2020 [source], it’s clear that the majority of marketing will also migrate online by that time. With the rapid development of virtual reality, we can expect massive changes in the way marketers provide us with their offers. Here are four main industries that should improve their marketing efforts through virtual reality. Travel agencies will be able to show you around the destination you’ve chosen for your vacation through a simple VR-set. However, this is not something that will come out of blue. As a matter of fact, tour operators are already among the most active marketers on the web. They use social media to advertise their offers. In return, such marketing strategies have a high conversion rate. Therefore, it’s logical to expect that they will be among the pioneers of the future VR-enhanced marketing. Imagine all the expenses an average realtor has when they want to show properties to their clients. Everything will become much simpler and less expensive when realtors start using virtual reality for their business goals. Except for using VR-headsets instead of driving their clients from property to property, the real estate market will also use those devices for construction planning. As an addition to computer-aided architecture and construction solutions, future buyers and business partners will have a chance to see their new investments in virtual reality, too. You can get a better insight in this technology by reading a piece published by the NY Times. Although the Internet and social media have become an inevitable part of every marketing strategy, many users are getting bored with the ads that interrupt their web-browsing experience. This is why proactive marketers are already thinking of creative ways to stop annoying Internet users with banners and ads. Using virtual reality to promote businesses and products without annoying the target audience is the most natural step. Because of that, astute business owners should already start working with a distinguished digital advertising agency, to get ready for the challenges of the VR marketing future. Those innovations will reduce the expenses incurred by obsolete marketing features. Moreover, it will enable marketers to provide their clients with tangible marketing experiences through different VR-tools. As an all-round marketing feature, email is still the most important tool of every business collaboration. However, although inevitable, this kind of communication is becoming more and more annoying and time-consuming. 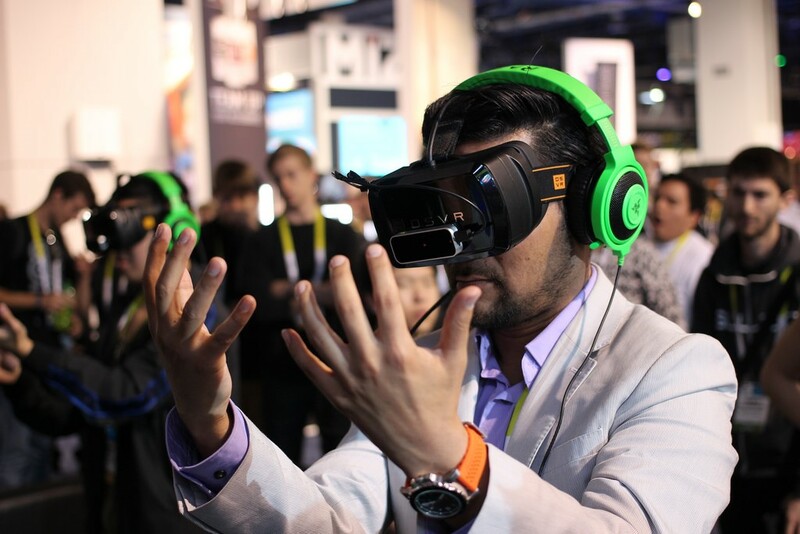 Virtual reality should replace emailing and contribute to faster business correspondence. Instead of typing and sending email messages, businesspeople will make videos. You will only need a fine webcam business camera and a VR-headset. This way of communicating is already used on Skype and other social channels, in form of video messages. However, when you have a VR-headset on your head, you won’t experience any interruptions, but simply receive and send messages in a smooth way. Business innovations are already changing the face of the business world, improving its functionality. The advent of mobile phones announced an unparalleled level of individualism, where different industries also had to adjust to the ongoing changes. Introducing virtual reality as an asset of business productivity is a great way of moving the frontier further to the outer limits of virtual space. Businesspeople need to react as soon as possible to those trends and provide their businesses with proper solutions for successful future work.